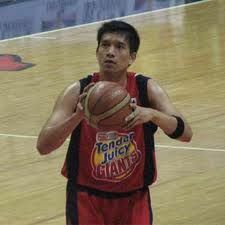 James Yap was awarded Most Valuable Player (MVP) twice in the Philippine Basketball Association and he is said to be the highest paid basketball player in the Philippines (2010). He is married to Kris Aquino, the controversy magnet and dubbed as Philippine’s Queen of all Media as well as the youngest sister ofPNoy (click here to read PNoy entry) and the daughter of two Philippine Icons, Ninoy and Cory Aquino. With the circus environment they were in, is it a big surprise that they had a chaotic marriage? The very rocky 5-year marriage finally took its last bow this year (2010) and annulment is now in process. Whew! Don’t get me wrong. I don’t have anything against the widely known couple. In fact, I admire James and I like Kris. Kris is very transparent and she handles the intrigues with ease. Whether people like her or not, whatever she says or do seem to captivate the whole country (if not the whole world). I’m pretty sure that she will have a lot of expose if she run as a Congressman in the Philippines . Ha! That would be a “major major” news. Corrupt officials will be in a panic mode and ready to dive under their mothers’ skirt. Going back to James Yap… You might be wondering why the heck I’m talking about the famous couple most especially this heartthrob cager? Well, like what I mentioned earlier, I admire him. He has the knack of separating his personal issues from his work as a professional basketball player.He excellently played on the court and even managed to clinched his second MVP title despite the controversies and difficulties in his marriage. Some people mess up with things and blame the unexpected circumstances for the poor result. Also, often times, people tend to come up with several excuses whenever something did not turn out the way they want it to be like blaming the traffic if they are late for work. I was pondering about this when I was reviewing for my exam. There was a heavy drilling next to our building. As a result, I can’t concentrate and the sound gave me a throbbing headache. To top it off, I’ve been the sounding board for family and work related problems. At the back of my mind, I was already making excuses that if i will not pass the exam, it’s that terrible drilling’s fault and the problems that were poured on me non stop. Then I realized that I should get a grip of myself and learn from James Yap. James Yap was able to conquer the hard court with finesse despite the circumstances that he was in. I don’t know how he did it, but he did it! No matter what, if James Yap can, why can’t we? Aja!